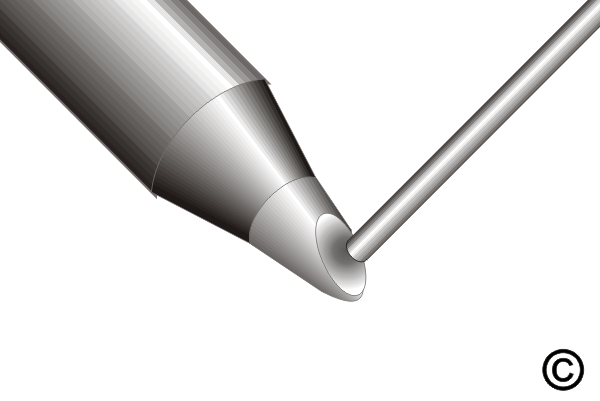 Apply solder to the continuous flow solder tip to create a convex bead of molten solder. 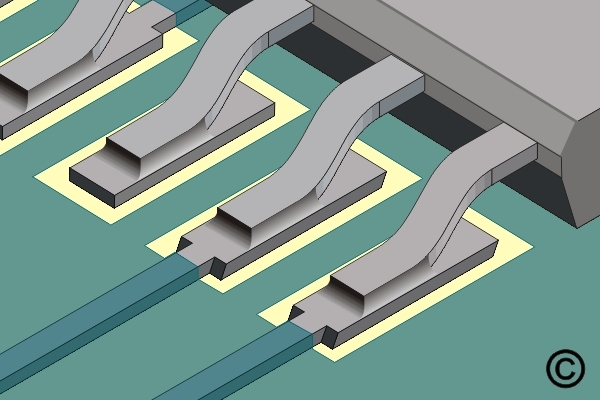 Slowly move the tip over the row of leads to form proper solder fillets at each joint. 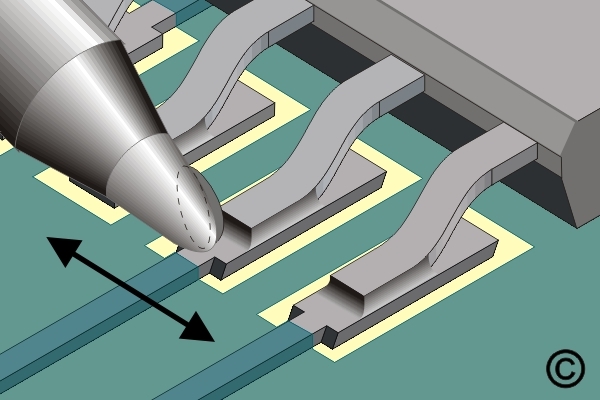 Figure 2: Apply solder to the continuous flow solder tip to create a convex bead of molten solder. 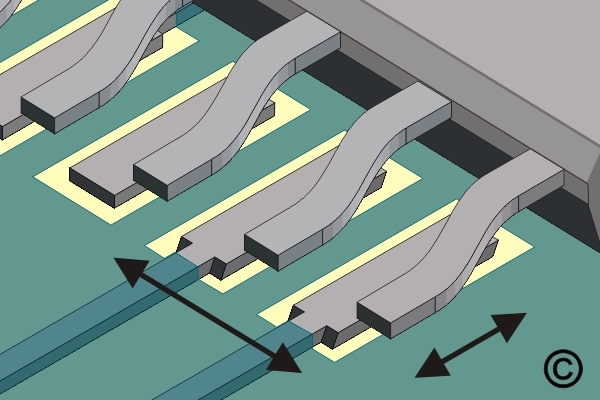 Figure 3: Slowly move the tip over the row of leads to form proper solder fillets at each joint. *Place the soldering iron tip at the junction between the pad and component lead at one of the corners. Apply additional solder as needed. Repeat steps 5 and 6 for the remaining sides.